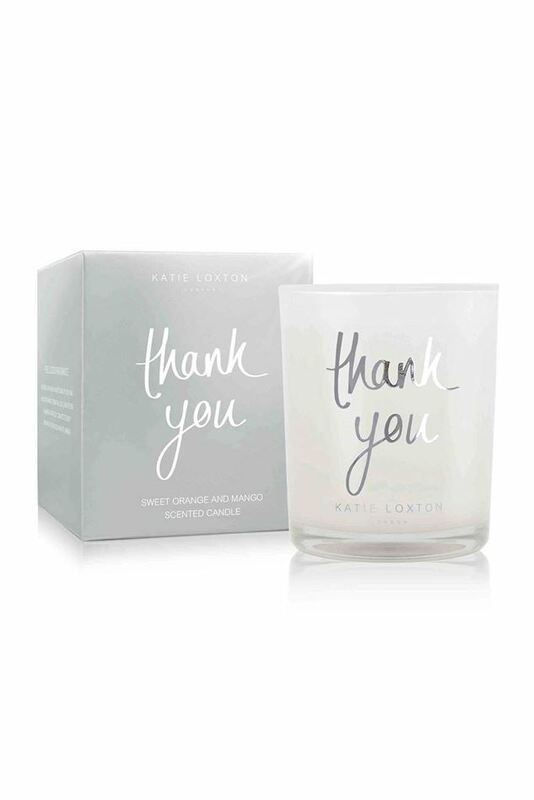 Sweet Orange and Mango Katie Loxton's signature jar candles are now available in a smaller size. Glass jar candles filled with soft enchanting fragrances. Perfect for little gift or as a sweet addition to your home.